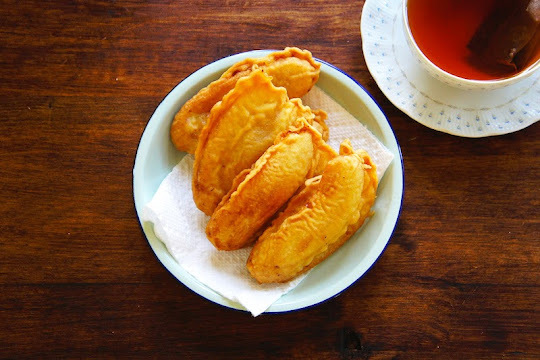 Fried Banana's also known as Goreng Pisang in Malaysia is one of my favorite deep-fried snacks, made with ripe bananas and coated with batter before deep-frying. It's a simple snack, but they taste so good! The Malaysian tea time favourite snack! Of course it is Good to make this at home instead of buying at the road side! Oh your beautiful pisang goring transported me back to the days when I was living in Malaysia. My friend and I used to buy them from the roadside stall for our afternoon tea with a cup of hot Kopi-O. I remember the oil they used to deep fried the banana fritters were almost like the colour of black coffee! So it is more healthy to fry your own. Thanks for sharing.